Applications are invited for the outsourced services of Empanelment of DTP Operators, Online (Soft copy Proof) Translators, Copy Editors and Proof Readers for various languages w.r.t. Bharatavani Project at CIIL, Mysuru, Karnataka. Interested eligible candidates who are willing to do online, offsite editing and Proof Reading, Translation and DTP using Unicode fonts with highest quality can apply by submitting the application, published in www.ciil.org. 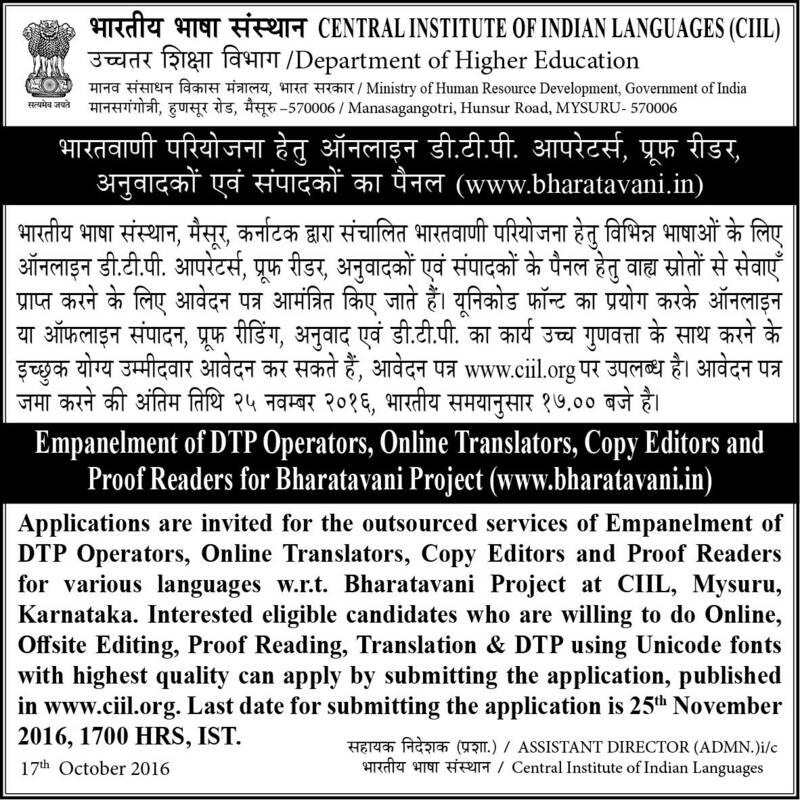 Last date for submitting the application is 25th November 2016, 1700 HRS, IST.